St Basil's Homes (SA) provides aged care facilities and services to South Australians under the auspices of the Greek Orthodox Church. You will find a St Basil's aged care facility in most States of Australia however the three South Australian facilities - Croydon Park, St Peters and Aegean Village at Christie Downs - are incorporated under St Basil's Homes (SA) and independently managed with a governing Board and executive management. 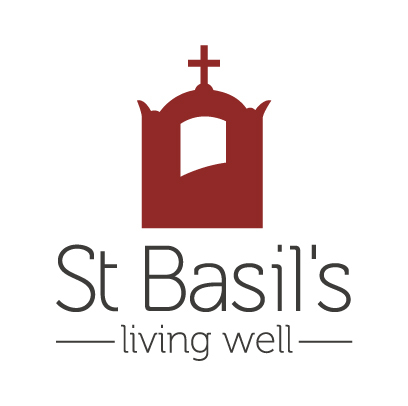 We invite you to tour St Basil's or join us at an event and experience our approach to Living Well at every age. Our Welcome team can show you through and help you with any questions you have. You can contact our Welcome team on 08 7424 0998 or email welcome@stbasils.com.au to discuss your accommodation needs. At St Basil’s, what matters most, is making every day count. In fact, it’s our Mission. What does “care” mean at St Basil’s? Being cared for at St Basil's means that you get to choose how you want to spend your day. For every waking hour, there is a Care Companion whose focus is to make sure that you are Living Well, the way that you want to. This Care Companion is responsible for up to seven residents and is supported by Nursing staff who coordinate and attend to any clinical needs. The Care Companions provide more than the basic care and services specified in the Quality of Care Principles 1997; they work in close concert with the onsite Events Coordinator to identify activities and interests relevant to their specific residents. This means that days can be filled with either activities that are relevant and of interest to residents or equally, adapted to accommodate a need for rest. Residents can book services within the onsite Beehive Salon that is externally managed and physiotherapy and allied services are also available. A large Hobbies/Activities room is available throughout the day at each facility, with work tables, craft supplies and a TV available for use. Residents and families are actively encouraged to contribute to community life at St Basil’s by attending fortnightly Resident “Let’s Talk” meetings; utilising onsite suggestion boxes and engaging with their Residential Manager and other Corporate Staff who regularly visit sites. Periodically throughout the year, community meetings are held to announce developments or introduce new staff to residents and families. Targeted continuous improvement initiatives are also discussed and monitored at these meetings. A perpetual Photography Exhibition entitled “Then”, invites residents to submit a photograph from the 1900s and an accompanying short story of that moment. These stories are converted into posters and placed in an exhibition that celebrates histories and acts as a point of conversation that transcends all generations. Culturally and Linguistically Diverse (CALD) needs are taken seriously at St Basil’s where we understand that the language of one’s use can become the most familiar language with age. In recognition of the culturally diverse needs of our market, St Basil’s also makes available signs and key words that are translated into languages that are most relevant. This supports residents to feel secure and at home while staff are encouraged by steps that help to reduce communication hurdles. St Basil the great (329-379AD) is honoured in the Eastern Orthodox, Roman Catholic, Anglican and other Christian Churches for his role in shaping Christianity. The organisation was named after St Basil, one of the three Hierarchs of the Eastern Orthodox and Roman Catholic Churches. St Basil was the first bishop to establish orphanages and homes for the elderly and was well known for his generosity and care of the poor and underprivileged. His devotion to acts of charity and his community lie at the heart of St Basil's Homes. St Basil's Homes believes that all people regardless of ethnicity, race, gender and age are entitled to high quality aged care. Our staff will work individually with each resident and family, in concert with health professionals, to ensure that their needs are defined, understood and met. Our residents have spent their lifetimes building families and communities; we remember this contribution with our gratitude and demonstrate our respect through our commitment to making sure that our residents can live well at every age, once they're home with St Basil's.